Last week there was expiry of NG contract which added some confusion to prices. We were holding aggressive short trade, which was rolled over to next contract but premium in next contract and new levels are confusing. Hence we have decided to hold short trade till the prices closes above 211. 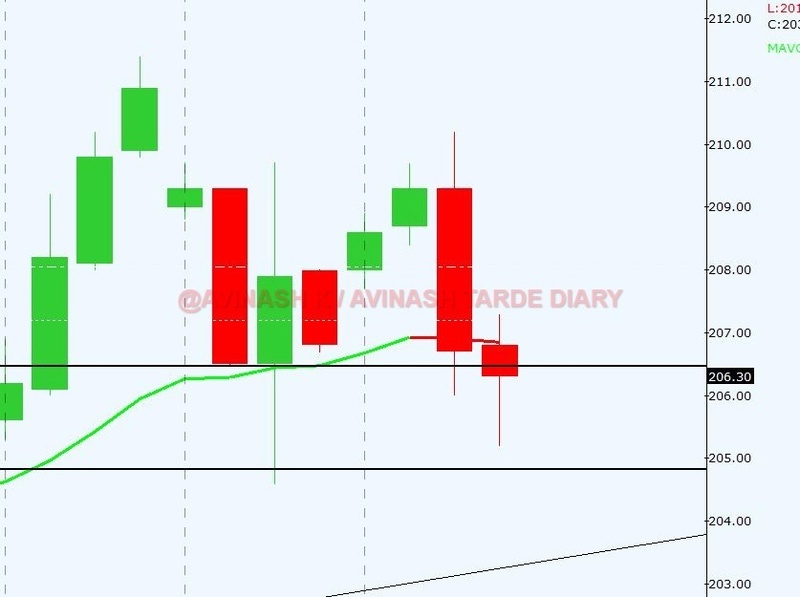 Now it’s in monthly, weekly, daily and 240 min uptrend but trend line on weekly and daily is broken with over extension in 240 min and sideways bias. This is rational to hold aggressive short till close above 211. OI analysis is not supporting our short position by indicating addition of longs in system.